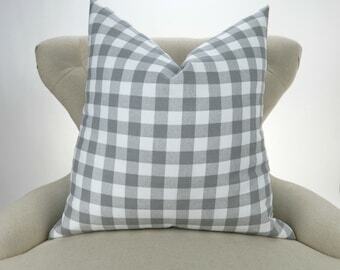 Announcement Decorative Throw Pillow Covers for the perfect modern sofa accent. All my pillow covers have the same fabric on the front and back (except sequin pillows). No annoying tags inside or out. Easy envelope closure OR upgrade to a concealed zipper. I pay close attention to detail and I guarantee you will LOVE your pillow cover, or your money back! 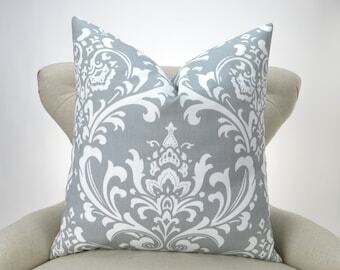 Decorative Throw Pillow Covers for the perfect modern sofa accent. All my pillow covers have the same fabric on the front and back (except sequin pillows). No annoying tags inside or out. Easy envelope closure OR upgrade to a concealed zipper. 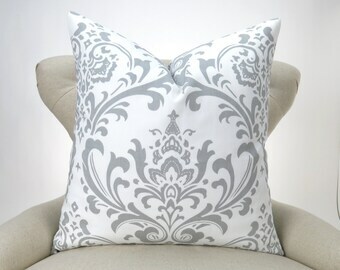 I pay close attention to detail and I guarantee you will LOVE your pillow cover, or your money back! The white color is pretty. Well made. Thank you! Well made. Look great! Would buy again. Thank you! I am very pleased with my purchase of two solid pink pillows with added zippers. They arrived as described, packaged carefully and promptly. I really like this color combo from a recent order. Not to mention the cute patterns! Having fun mixing patterns for easy and cheerful Christmas decorating! We are very proud of our soft furnishings and believe that they are the best available on the market. If you do not agree, or are in any way unhappy with your purchase, we will refund the full purchase price of any unused items, not including return shipping fees. *Custom-size orders are non-refundable, unless I have made a mistake. Please contact us within 3 business days upon receiving your order and we will send you return postage instructions. Once you have the instructions you have another 3 business days to return the items. To qualify for a refund items MUST be returned in their original unused condition. Used items, or items returned outside of this time frame will not be accepted for a refund. Credit cards and Paypal accepted via Etsy's Direct Checkout. Each item is made-to-order with care. Please allow 14-21 days for your order to be completed. All items are sent by First Class Mail or Priority Mail and transit time usually takes 2-4 days. Please contact me if your order does not arrive in that time frame. I use tracking numbers on all U.S. orders. You will receive a notice when your order is sent, or you can find the tracking number at the bottom of your online receipt. I am happy to ship internationally. The prices listed are sometimes inaccurate, especially if you are ordering more than 3 items. Excess postage paid, totaling $1 or more, will be refunded at the time of shipping. Alternatively, contact me with your order and full shipping address and I will set up a special order listing with the exact shipping costs applied. Customers outside the United States are responsible for all import taxes, customs fees, or any other fee associated with shipping to their respective countries. Customs policies vary from country to country, and I cannot predict what they may be. Please contact your local customs office for the information you need. If you are recovering existing pillows that aren't tagged with their size, please contact me before ordering! Selecting the correct size isn't always as straightforward as it might seem. In my experience, most returns happen when buyers are measuring their own pillows for new covers and mistakenly order the wrong size. *The above chart applies to all DelicousPillows pillow covers except the sequin pillows. For sequin pillows, sizing will vary slightly from this chart to compensate for the natural stretch in the sequin material. It is still recommended that you order according to pillow insert size. We will tailor your new cover to fit accordingly. The sizes in our descriptions and menus always refer to the recommended pillow form/insert size use with that cover. The finished dimensions of the cover will be 0.5-2 inches smaller (depending on the size ordered) to insure the best fit. This is a common industry standard for decorative pillow covers and results in a finished pillow with filled-out corners and a smooth fit. *Please note! If you are recovering pillows that aren't tagged with their size, please contact me before ordering. Measuring & selecting the correct size isn't always as straightforward as it might seem. I'm glad to help! This chart applies to all DelicousPillows pillow covers except the sequin pillows. For sequin pillows, sizing will vary slightly from this chart to compensate for the natural stretch in the sequin material. It is still recommended that you order according to pillow insert size. We will tailor your new cover to fit accordingly. All items are made to order, unless otherwise stated. Please allow 5-7 business days (Monday - Friday) for your new cover(s) to be sewn and prepared for shipping. "Ready to Ship" items are sent out on the next business day. Wash in cold water with a mild detergent, like Woolite. Air dry. Do not machine dry or dry clean. If needed, press with iron using a cotton setting and a pressing cloth.